A cemetery is usually not top of anybody’s list of places to visit for an excursion, and is even more unlikely to be on the itinerary of visitors to Singapore. On 15 February 1942, the great British bastion of Singapore fell to the Japanese Imperial Army. The event marked one of the darkest days for the Allied cause during World War II. 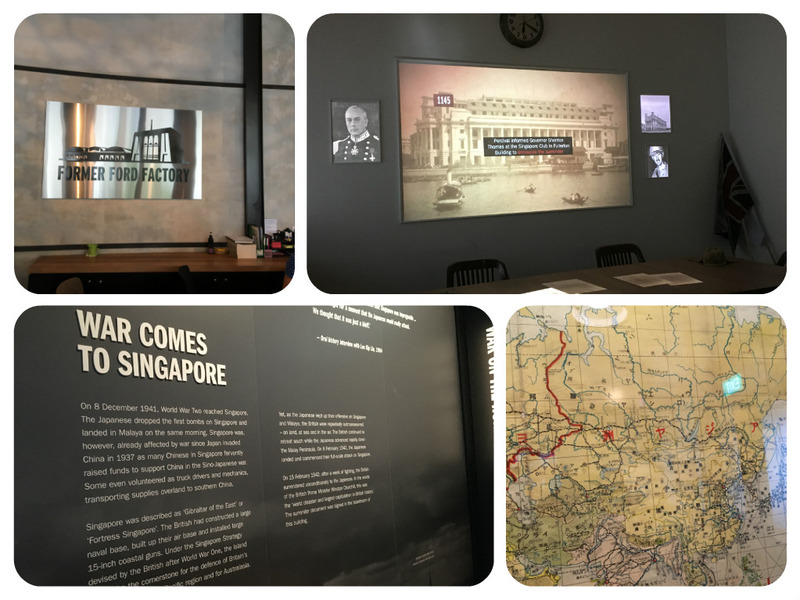 Today we relived history during our port of call in Singapore. 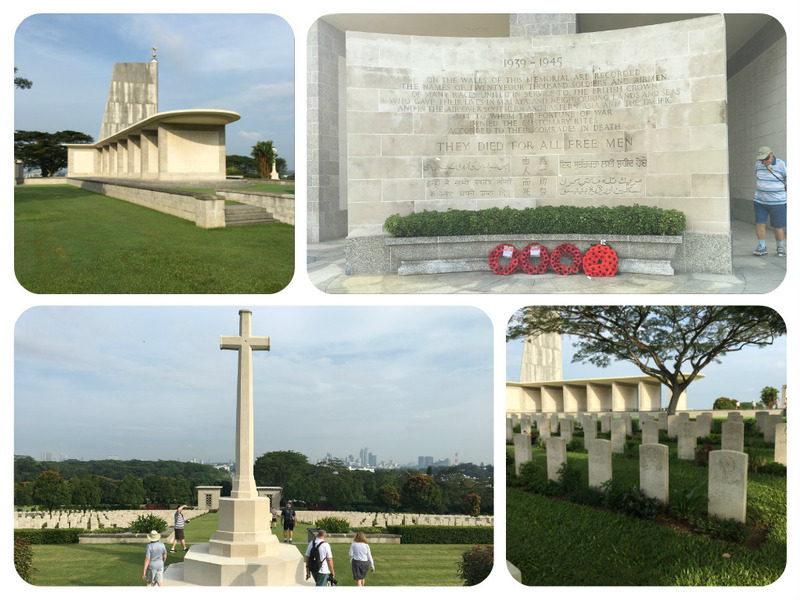 We opted to go off the beaten path to visit Singapore's war sites via the Battlefields of Singapore excursion. We boarded our motorcoach and drove to Kranji War Memorial, dedicated to the Allied servicemen and women who died defending Singapore during World War II. The memorial site is multi-ethnic, as nationalities making up the Allied Forces included British, Australian, Canadians, New Zealander, Dutch, South African personnel, and a large number of Indians as well – almost 50% of the names on the memorials are Indian. The memorial is also multi-religious, as Christians, Muslims, Jews, Buddhists and Taoists, Confucians, Hindus, Jains and Sikhs are all commemorated. The main avenue of the cemetery rises gently from the Stone of Remembrance near the entrance to the Cross of Sacrifice, beyond which are flights of steps leading to a hill-top terrace. On this terrace are four memorials. The largest memorial is the Singapore Memorial with the names of 24,346 soldiers and airmen who died during the campaign in Malaya and Indonesia, or in subsequent captivity, and have no known grave. A register bearing these details is kept by the Commonwealth War Graves Commission. The War Cemetery contains the graves of 4,458 of the fallen. More than 850 graves are of unidentified personnel. The Chinese Memorial in plot 44 is a collective grave for 69 Chinese members of the British Commonwealth Forces. Note: there weren't restroom facilities at the cemetery, but there were at our next stop. The old Ford Motor Company factory, was the site of the British surrender to the Japanese in February 1942. The factory was built by Ford Motor Works in October, 1941, and became Ford's first motor car assembly plant in Southeast Asia. Japanese forces invaded Singapore shortly thereafter. During the Malayan Campaign, the factory's modern assembly equipment was used by the Royal Air Force to assemble fighter planes. 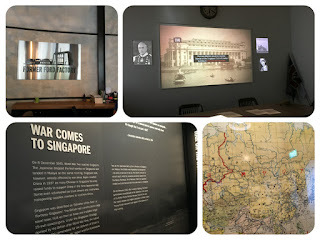 The National Archives of Singapore, the new custodian of the historical site, has converted the building to house an exhibition gallery and repository called Memories at Old Ford Factory. Changi was a POW camp that held over 50,000 British and Australian prisoners of war. 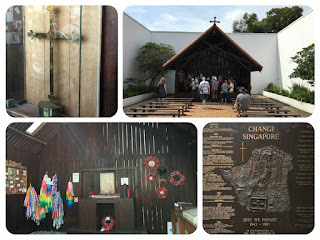 Our visit there included Changi Chapel, a reproduction of the 1944 Chapel built by Australian prisoners, and Changi Museum. The museum displays the prisoners' sketches and watercolors, a pair of rail spikes from the notorious Thai-Burma railway where thousands perished, and a quilt made by women inmates. Note: no photography is allowed inside the museum but you can take as many pictures as you like outside and in the chapel. This look at Singapore history was over as we boarded our motorcoach for the return trip to Sapphire Princess. 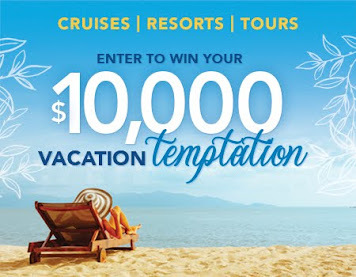 We encourage you to venture off the beaten path during your voyage. 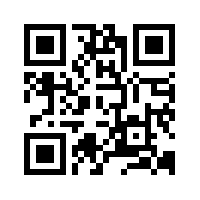 This excursion met our expectations and we would recommend this to anyone interested in history or who had already seen the popular sites in Singapore. 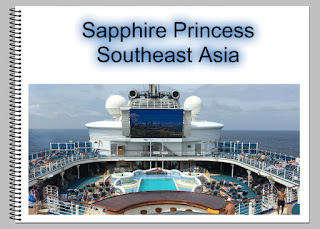 When we boarded Sapphire Princess in Singapore on January 9th, we learned that there were passengers "in transit" aboard. They had begun their voyage on December 30th, or earlier in some cases. January 20th was the termination of the cruise for many of those passengers, including two couples who had been our table mates. 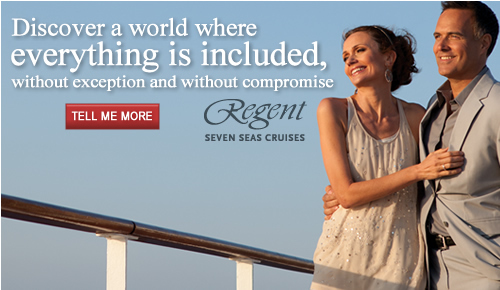 Today we became passengers "in transit" along with the other couple at our dining table. 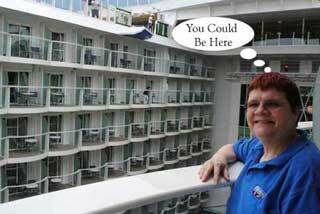 We still had three more ports of call before the conclusion of our voyage. All passengers that were going ashore, whether disembarking or on tours, needed to clear immigration in Singapore. Since we were on an organized shore excursion, we obtained our passports when we checked in at Princess Theater. We needed to be there by 7:20 am for our 8:00 am tour. 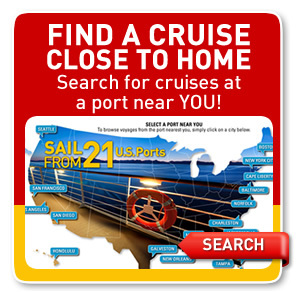 Disembarking passengers either had passports delivered to their stateroom, or they needed to pickup in their assigned meeting area. Everything was organized into groups and meeting times were pre-assigned. It was quite an efficient process from our vantage point. Landing cards had been completed on our behalf and had been processed. 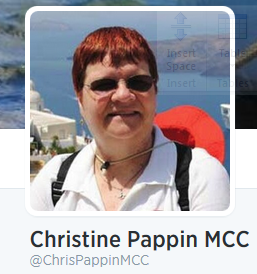 We still needed to have our passport scanned by an immigration officer upon exit from the ship. After clearing immigration, we needed to go through a security screening before being directed to our tour bus. By the time everyone was on the bus, it was 8 am. Read more about the tour in another post. Thailand's third largest island, Ko Samui. 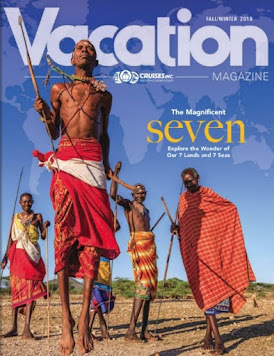 has been attracting international travelers for less than half a century. Before then, this island in the Gulf of Thailand was noted for its coconut plantations and rubber production. 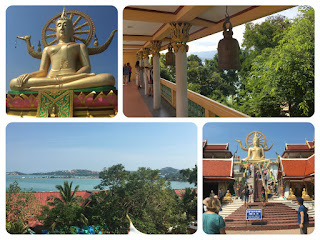 Today, Ko Samui's premier charms are its powdery white beaches, its Buddhist temples or wats, and its crystalline waters. For our final stop in Thailand, we selected the most popular shore excursion, the Temple of the Big Buddha & Monkey Demonstration. The temple is located on the small, rocky Fan Island. This wat or temple has become a major meditation center for both local residents and foreign visitors. Erected in 1972, the temple's centerpiece is a massive seated Buddha that stands 39-feet high. Unlike most temples in Thailand, it wasn't necessary to remove our shoes before ascending the staircase to the large Buddha statue. 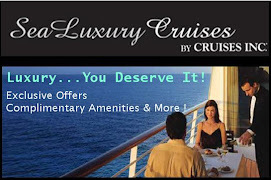 There is a magnificent 360 degree view of the surrounding area from on top. After taking some pictures, we headed back down the staircase. Since we had two more stops on this tour, we used the restrooms at the temple. They were like port a potties back home except that they didn't have traditional toilets, but Asian style instead. As typical in Asia, you need to have your own toilet paper with you. 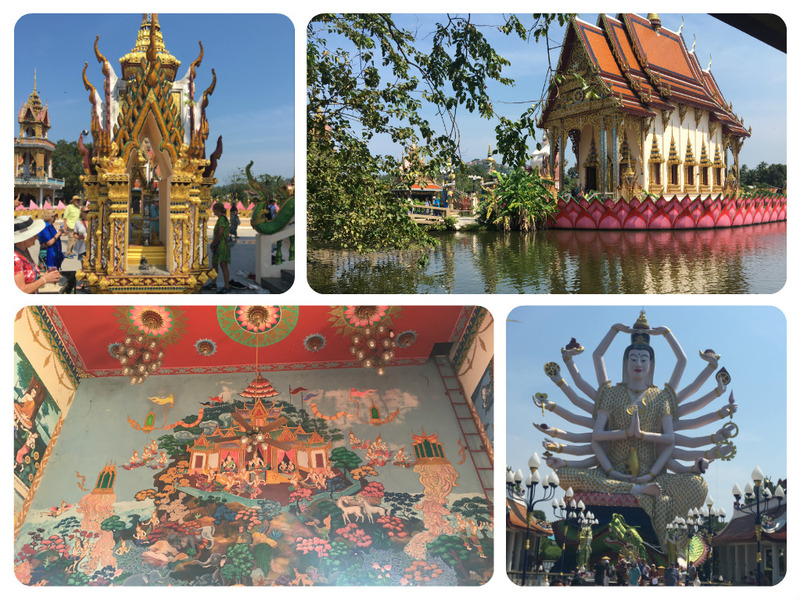 We had time to browse the local gift stalls before continuing on to Wat Plai Laem. Once part of the Temple of the Big Buddha, Wat Plai Laem is home to a superb statue of Kwan Yin or "Guanjin," the 18-armed Buddhist avatar of Mercy.This is a relatively new temple but the art techniques used in its creation are centuries-old and based on ancient beliefs. We especially liked our visit here as it was set on a lake which afforded some great photo opportunities. After a short drive from the temple, we arrived at a local venue where we watched a demonstration of how monkeys are utilized in the agricultural production on the island. 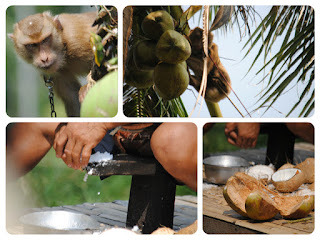 For centuries, monkeys have been trained to harvest the ripe fruit in Samui's coconut plantations. The agile monkeys are able to quickly climb the tall, slender trunks of the coconut palms and pluck the coconuts for their handlers. We were there with another tour bus. One of the guides assisted in a coconut splitting demonstration. They explained and showed how they harvest the coconut milk and meat. We had some time to browse their gift store before boarding the motorcoach for the return trip to the ship. 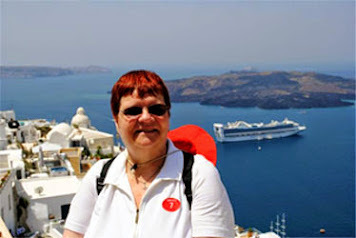 Finally on our motorcoach, we had a picturesque drive to this popular attraction off the beaten path. Nong Nooch Gardens is a privately owned, 250-acre village set against lush green hills. 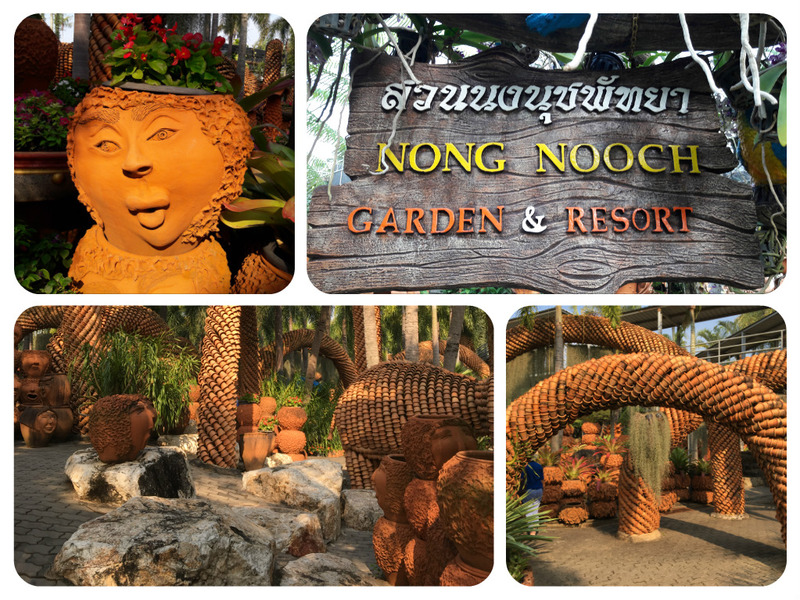 When arriving at the gardens, we had 30 minutes to explore the pottery garden. Modern restrooms were there as well. Note that you need to bring your own toilet paper. Our guide led us to Thai Village Theater, where we had assigned seating. Along the way we passed several stands selling prepared Thai food items. Several souvenir shops were also in the complex. As we waited for the performance to begin, a man was speaking on stage. We couldn't understand the announcements or what was written on the sign created before the show, but everyone clapped at the conclusion. Subtitles would have been helpful, but we doubted they could have kept up with the pace of his speaking anyway. 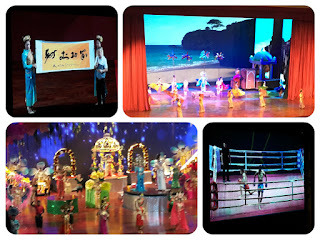 The show consisted of several colorful cultural performances of Thai folk songs and ceremonies. We saw folk dances from various regions in Thailand and thrilled to a demonstration of Thai boxing and sword fighting. 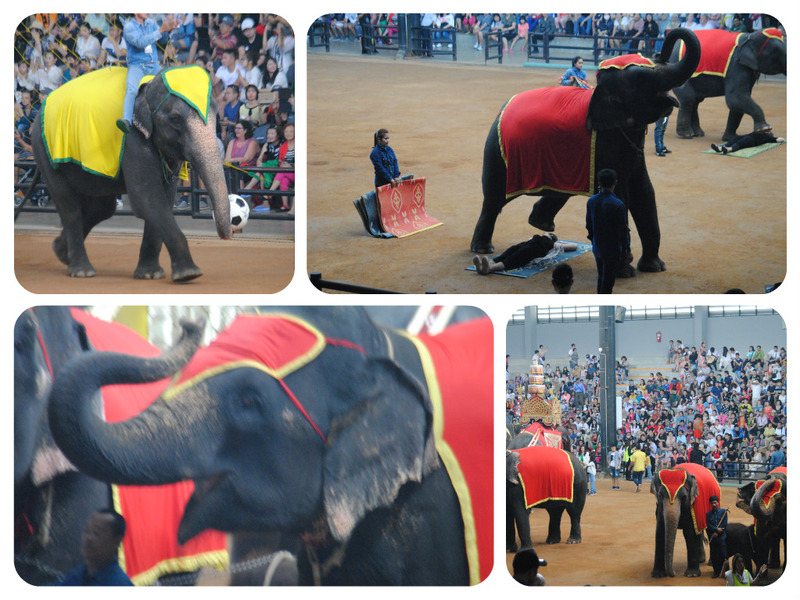 Another highlight of our visit was the charming elephant show. 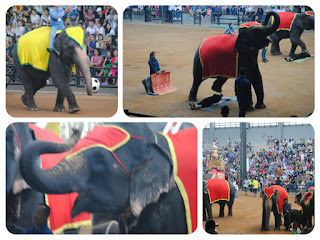 Before the show began it was possible to get up close to the elephants and have them lift you. There was the typical elephant parade as well as elephants showing their skills. Elephants painted t-shirts, which could be purchased in the shops. There were soccer and basketball games, twirling of hula-hoops, bowling, and stepping over volunteers, to name a few of the skills shown. We had 30 minutes free time following the elephant show. Unfortunately our guide hadn't made the schedule clear ahead of time, so we didn't have as much time to explore the grounds as we would have liked. Final stop on our tour was for shopping at a company mandated local reputable gift shop in Pattaya. We had gotten a couple items at the gardens, so we just stayed on the bus. This was an enjoyable tour, but a bit rushed. 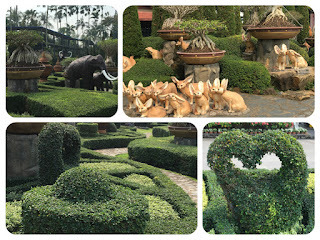 We would have loved more time to explore the beautiful gardens.